To become like children! 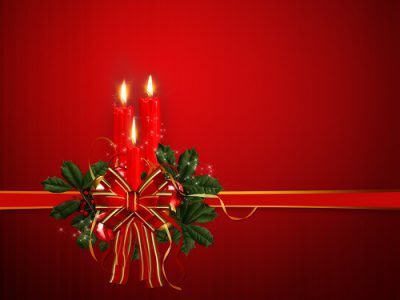 The most beautiful childhood memory that comes to my mind is that of celebrating Christmas and the joy of Christmas. From then on, the joy and eagerness for what was to come mounted with each day. Sometimes in the evening, when I was looking out into the darkness of the still night, I would think I saw God’s angels coming down to proclaim the Christmas message to us. The breath of Christmas peace blew down like a greeting from Heaven; all the sounds that were part of this time turned into Christmas music. Behold, the Lord of glory comes! Even though the celebration of Christmas is exploited for business profit and used for selfish purposes; even though the meaning of Christmas is often corrupted; in spite of all this, we all feel the impulse at this time to think of others, to show love to others, to be there for others. This itself shows what this joy of anticipation is. It is the feeling of human solidarity, the exulting joy in one another, the certainty of mutual love. The brightness and fragrance of the living Christmas tree under which Christmas gifts are laid — here is light and warmth, symbolizing life and love. A child, thinking of these Christmas symbols and Christmas gifts, might ask himself, Is all this something that can go away? Can this be just an excitement that soon fades away? No, is the answer within him; for all this is not yet the best, and the best cannot pass. “To us a Child is born, to us a Son is given.” “God so loved the world that He gave his only Son.” Of all gifts there is none so precious as this one. Therefore we ask only for this one gift: Stay with us, Lord Jesus Christ! When as a child I stood before the lighted crib scene, I often fell into a deep reverie. I saw the Christ Child in his eternal light; I felt the same that the shepherds felt when they came to the crib to worship the little Child. It was there that I first realized what the joy of worship means. God’s greatness came in the smallness of the Child in the crib. and feel how endless is His love. God’s Child, with us in flesh united. us what He, past all measure, loves? Anyone who as a child has looked into God’s loving heart can never despair of his life, however hard it may be. Joy radiates peace. Love brings peace. “I proclaim to you great joy that shall come to all peoples — peace on Earth!” The true Christmas experience is to feel that this Christmas peace is the greater power; that even now on Earth it overcomes all unpeace. That this peace shall come to all — that is the expectation and the faith of Christmas! Jesus is the light. Nobody else is the light; others can only witness to the light. Only those who are reborn as children shall become children of the light. Wherever the Christmas Child is born in a heart, wherever Jesus begins his earthly life anew — that is where the life of God’s love and of God’s peace dawns again.